"That's the beauty about rustic cooking: deliciousness is the key target. You don't need any measuring instruments to cook that way." 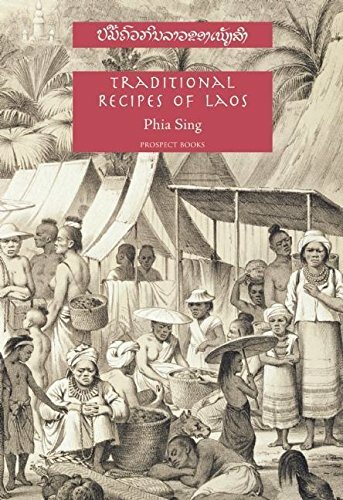 This week, we're excited to welcome chef James Syhabout to SALT + SPINE, the podcast on stories behind cookbooks. Syhabout came to the U.S. as a 2-year-old, his family refugees from Laos fleeing after the Vietnam War, and settled in Oakland. After culinary school, Shyabout moved to Europe and trained in classical French techniques before returning to his roots: both his culinary roots and his Oakland roots. 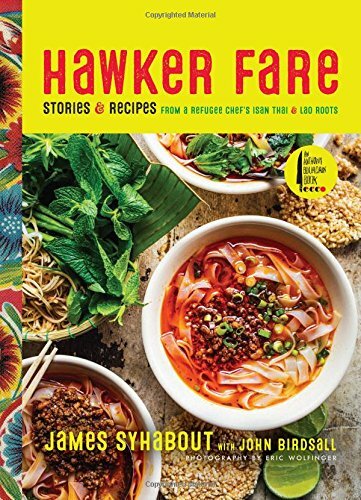 Syhabout's first cookbook, Hawker Fare, features nearly 100 Lao and Thai recipes, including some from Hawker Fare the restaurant—from steamed bamboo-shoot casserole with pork belly and coconut milk cooked in banana leaf (Mok naw mai) to Lao green papaya salad (Tum som mak hoong). We sat down with James at San Francisco's The Civic Kitchen cooking school to talk about the stories behind his first cookbook, Hawker Fare.